A friend of mine owns a lot of games, I mean A LOT of games. She has boxes and boxes of board games and occasionally she decides to do a little spring cleaning. That’s when I usually get boxes and boxes of games because she’s convinced my family will love them. Out of curiosity, I take the games home and our family tries them out. Truth be told, the games are usually ones I’ve never heard of until she passes them my way. 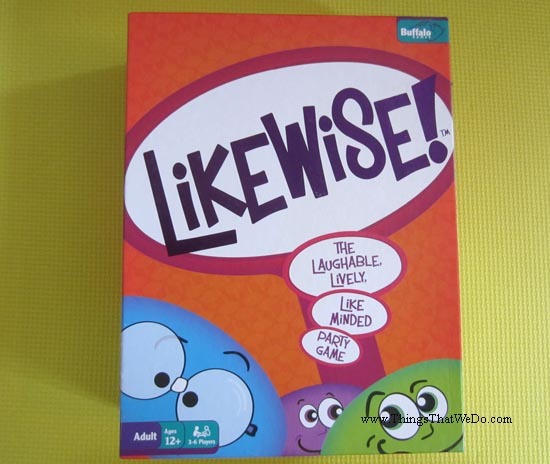 Allow me to introduce you to exhibit A: Likewise, a board game by Buffalo Games. 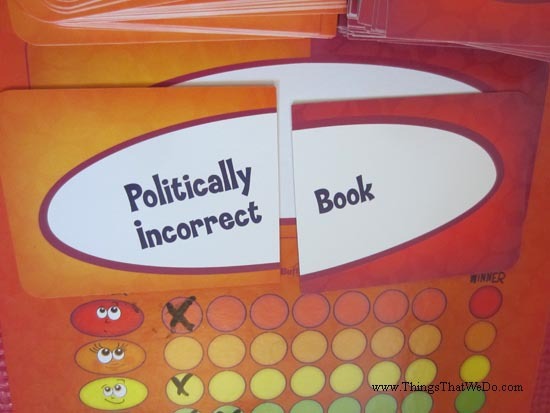 Have you ever seen this board game before? I know I haven’t. 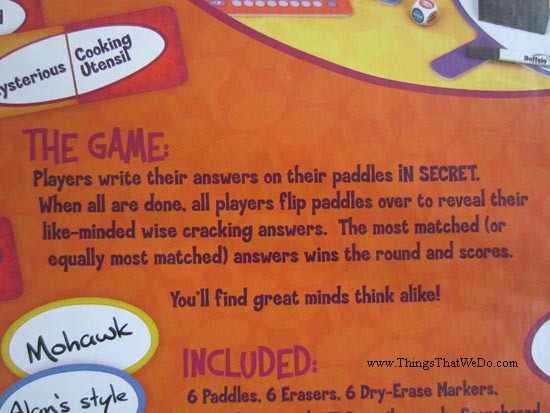 The basics of the game: players each get a paddle and a dry erase marker. Random cards are flipped over and combined to reveal a topic. The key is to find as many matches as you can with the other players. 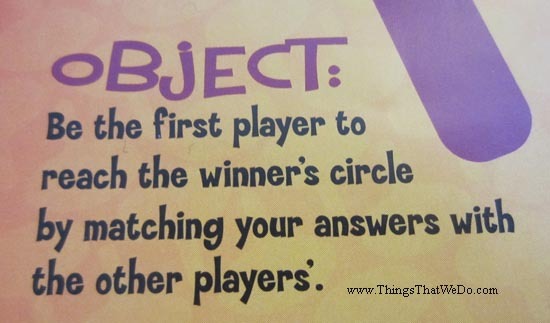 The one with the most matched answer wins the round and the game continues. Now, my big kid and I almost never follow the actual rules of the games we get. We actually try to come up with our own rules or modify existing ones. We’ve had quite a few laughs at the ridiculous pairings that have come up during this Likewise game. Given that this game is targeted for a slightly older crowd, we’ve also had some healthy discussions about the meanings behind some of the words used. 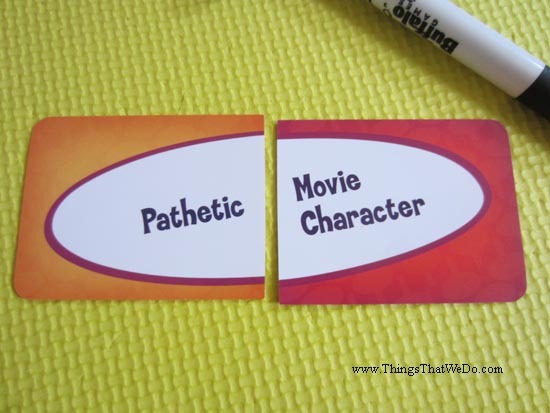 I mean, how do you explain the word “pathetic” to a school ager? Games like this are always a bit risky because you never know what you’re up against. Sure, it may only be a game but it’s also a wonderful opportunity to relax, bond, and share thoughts. It’s easy, it’s nonthreatening, and the unknown element of the game provides an opportunity to gauge how everyone is thinking in a given moment of time. 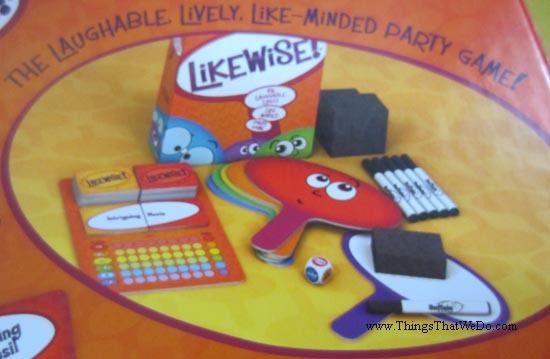 Everyone has equal opportunity to ask those “what is THIS for?” and “What kind of question is THAT?” and “How do you even PLAY this game?” and we all jump in to try and figure out how to play the games. Maybe that’s why we enjoy testing out the games. 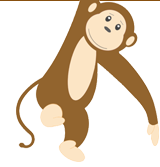 Everyone is involved, everyone is participating, and everyone is having fun…even when we don’t understand what we’re doing! This Likewise game from Buffalo Games was relatively easy to play and would work for big or small crowds. 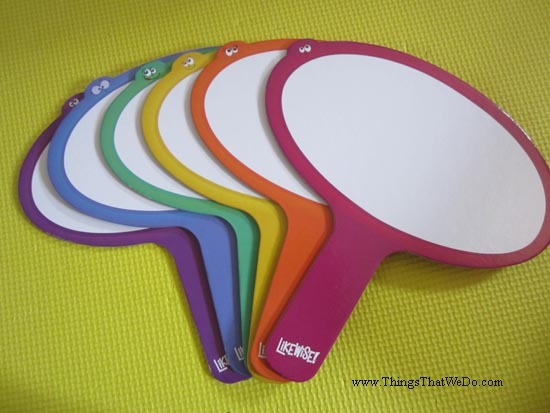 I particularly love the erasable word paddles. 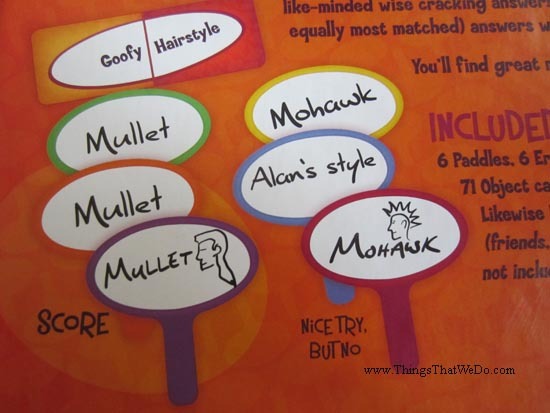 Although they were designed to be part of the game, they work very well for spontaneous guessing games. Think: sudden math question, who’s got the answer? Write it down, quick! Or, rhyme off a riddle. Who’s got the answer? Hurry, hurry! 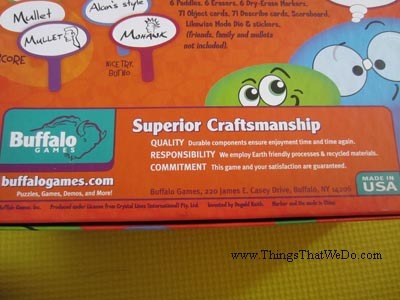 If you want to know more about this product, click here to visit the Buffalo Games website.